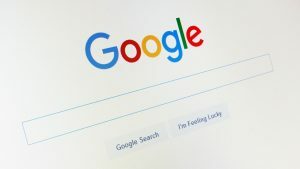 Google has been fined a record £2.1bn by the European Commission after a seven-year investigation into its Shopping search comparison service. The regulator handed out its largest penalty to date after ruling the tech giant had abused its power by systematically giving a more prominent placement to its own comparison shopping service. Google has also been ordered to end its anti-competitive practices within 90 days or face a further penalty. "What Google has done is illegal under EU antitrust rules," said Margrethe Vestager, the European Union's Competition Commissioner. "It has denied other companies the chance to compete on their merits and to innovate, and most importantly it has denied European consumers the benefits of competition, genuine choice and innovation." Google had previously suggested that Amazon and eBay had more influence over the public's spending habits and that the commission's views "failed to fit the reality of how most people shop online". And in response to today's ruling, Google said it would be appealing. "When you shop online, you want to find the products you're looking for quickly and easily," a spokesman said. "And advertisers want to promote those same products. That's why Google shows shopping ads, connecting our users with thousands of advertisers, large and small, in ways that are useful for both. "We respectfully disagree with the conclusions announced today. We will review the Commission's decision in detail as we consider an appeal, and we look forward to continuing to make our case."